Just a couple of quick OPI Nicki Minaj comparisons for you today. First we have the non-dupes. Above left to right: OPI Sparrow Me The Drama, OPI Pink Friday, OPI Metallic 4 Life, China Glaze Tinsel Town. OPI Sparrow Me The Drama is a darker, dustier rose creme. Pink Friday is a brighter, clean bubblegum pink. OPI Metallic 4 Life has a darker base and larger, more obvious glitter. China Glaze Tinsel Town is a lighter gray base with more pieces of fine glitter, and less large pieces of glitter. Above left to right: OPI Did It On 'Em, OPI Who The Shrek Are You?, OPI Fly, China Glaze Shower Together. These are a bit more alike than I thought they would be. 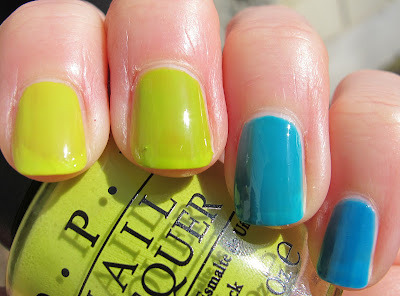 OPI Did It On 'Em is slightly more yellow and lighter, while Who The Shrek Are You? is darker and more green. left: OPI Did It On 'Em, right: OPI Who The Shrek Are You? 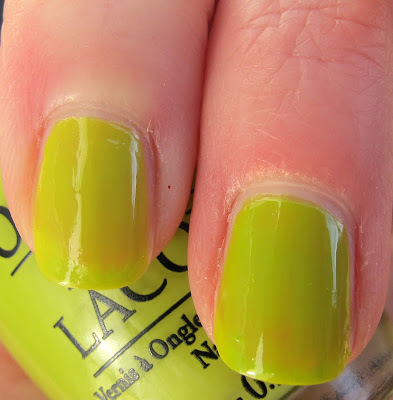 OPI Fly is lighter and more green-leaning than China Glaze Shower Together. 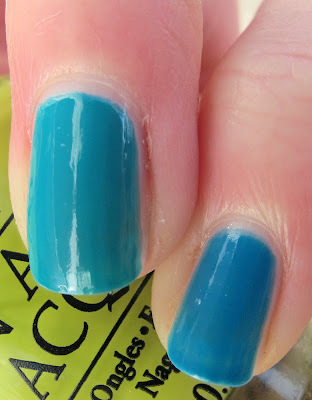 Shower Together is more blue and noticeably darker, but they are more similar on the nail than they are in the bottles. For my taste, these are different enough to own all of them. For the less enthusiastic polish collector, you may have just eliminated something from your wish list. The OPI Nicki Minaj collection is available now at professional salons! Some polishes in this post were sent for review. Please see my Disclosure Policy. DON'T FORGET TO ENTER MY 800 FOLLOWERS GIVEAWAY!! !